I have written my report and thoughts on Saturdays Swim in a timeline format, hope you can all follow.. Enjoy CC. 5.00am Check In for Crew & Swimmers at Pier 25. 7.00am Crew loaded onto Support Boats, Kayakers hit the water. 7.15am First wave was due to go! 7.40am Rest of the swimmers due to start! 8.25am First wave finally got to go, and next 4 waves followed every 2 mins! I was in the last wave. 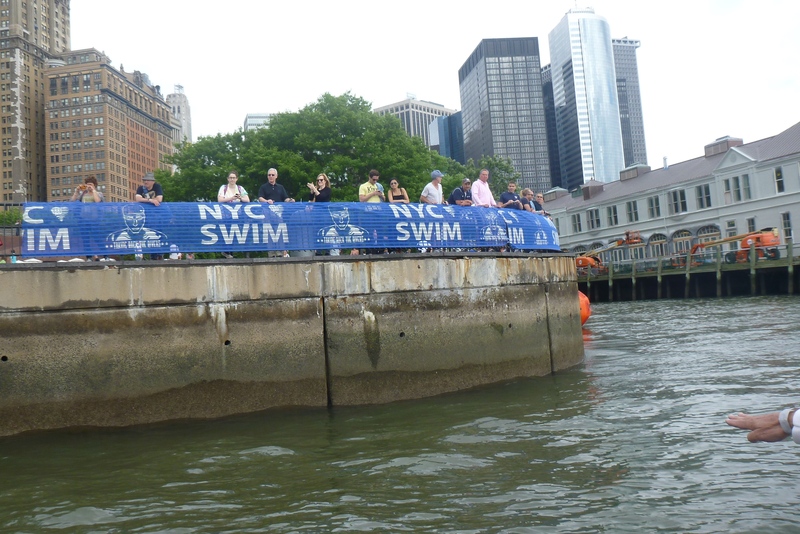 My wave, watching the others take off..
8.40am All swimmers finally on the move and safely made it past the Staten Island Ferry dock. Phew. 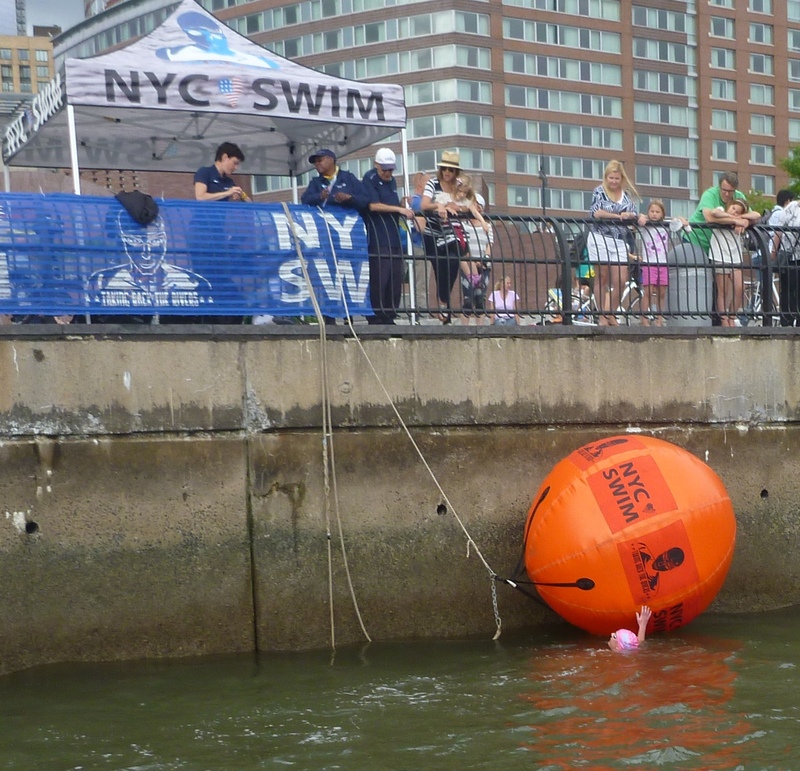 9.00am I was looking for first Marker Bouy at Brooklyn Bridge – it wasn’t there. Head down, swim on! 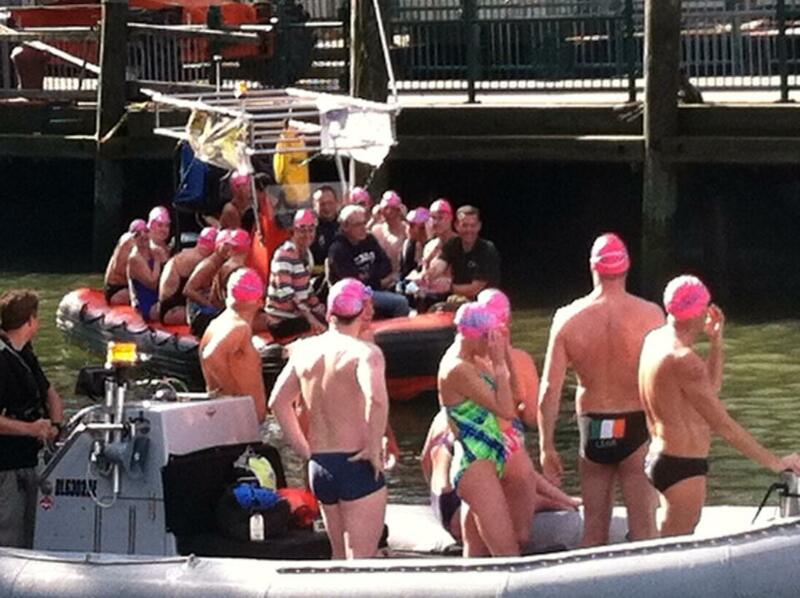 Had to manoeuvre around some people traffic on the water, at least the bright pink hats were easy to see! 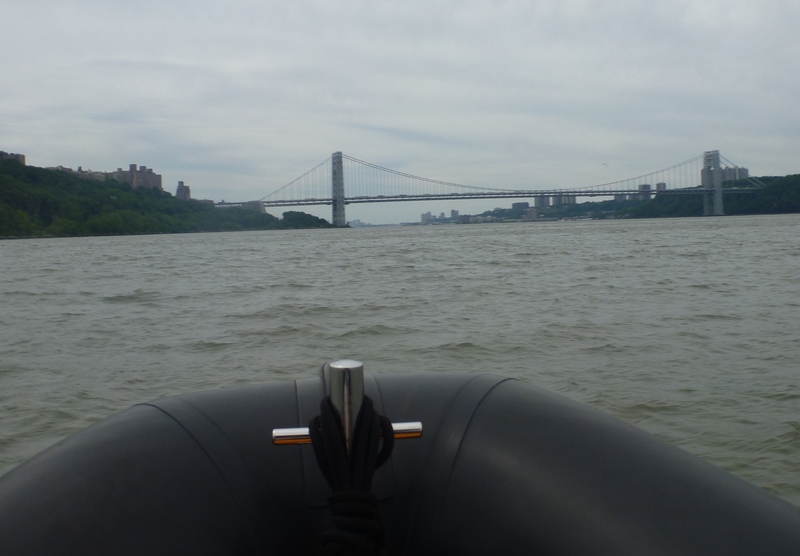 9.20am I pass Lisa’s Boat and wave to her crew, after Williamsburg Bridge. My Feeds are mixed with warm water which is nice to take the edge off the cooler water temp. It’s about 15deg, Warm by Irish Standards! 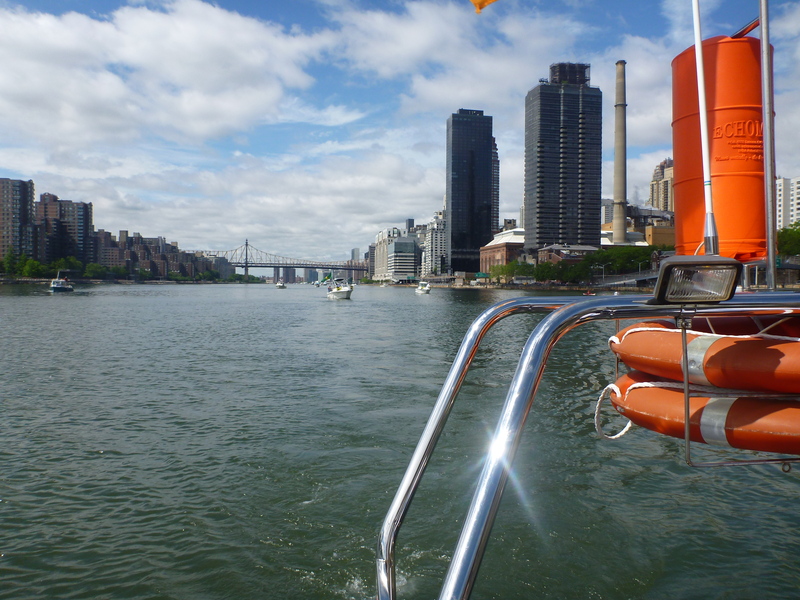 10.20am I pass Liam’s Boat, Kay and Emily appreciate the shout-out as I go by in the East River. The Water is calm here, but odd tasting! Bit oily! 10.50am Ask my Kayaker where are the Buoys in Hells Gate that I’m supposed to go around, they’re not there either, head down, swim on. 11.10am A bit of commotion going on around me as we enter Harlem River, I have learned to ignore it, if it’s me or a safety issue, I’d be told! I swim on. 12.00pm Yankee Stadium to my right – woo hoo something to finally look at (it’s a bit bleak in the Harlem). 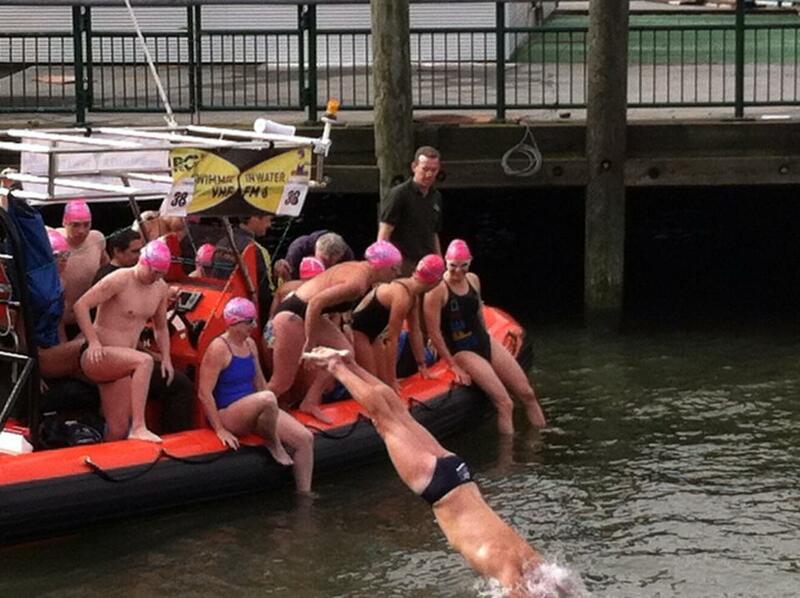 1.00pm What can I say, nothing to report from Harlem River, swim on. It feels never-ending, and I’m sick of hitting the debris and trash that is floating around the Harlem. Tom, My kayaker is trying his best to pick some things out with his paddle so I don’t swim into ‘it’. I’m better off not knowing what he was moving away from me. 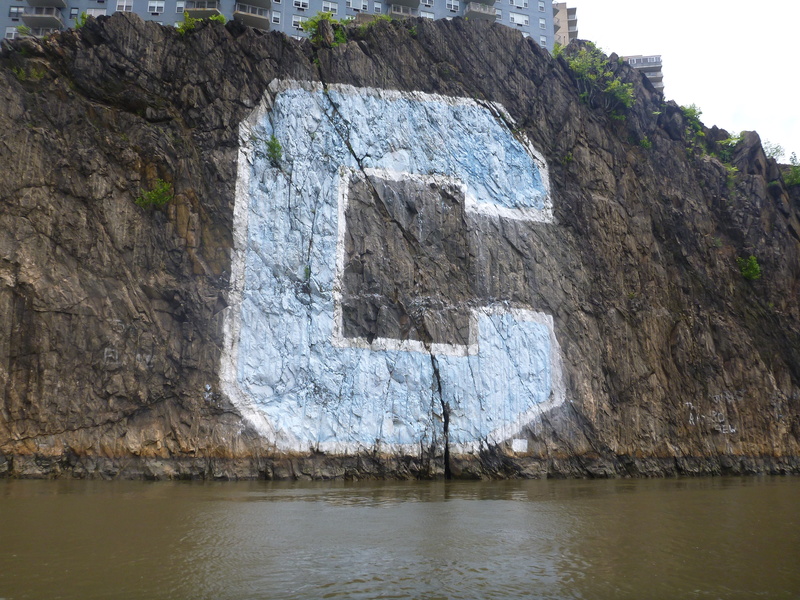 1.30pm I SEE THE HUDSON, stop for jelly babies and pain killers while its calm in the water, and wave at the HUGE “C” on the rock face, it may be for Columbia University, but to me it was screaming Carol! My kayaker enjoyed me waving at myself. 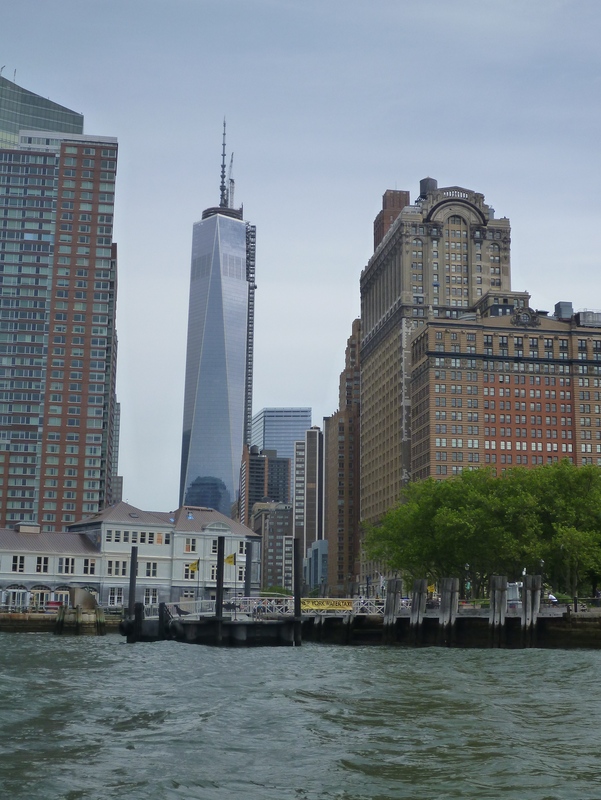 1.40pm Spat out of the Harlem and into the Hudson River… TOASTY Hudson River, instantly about 2-3deg warmer, but oh boy is it choppy… Yippee Sandycove Conditions! (4hrs 55 so far). 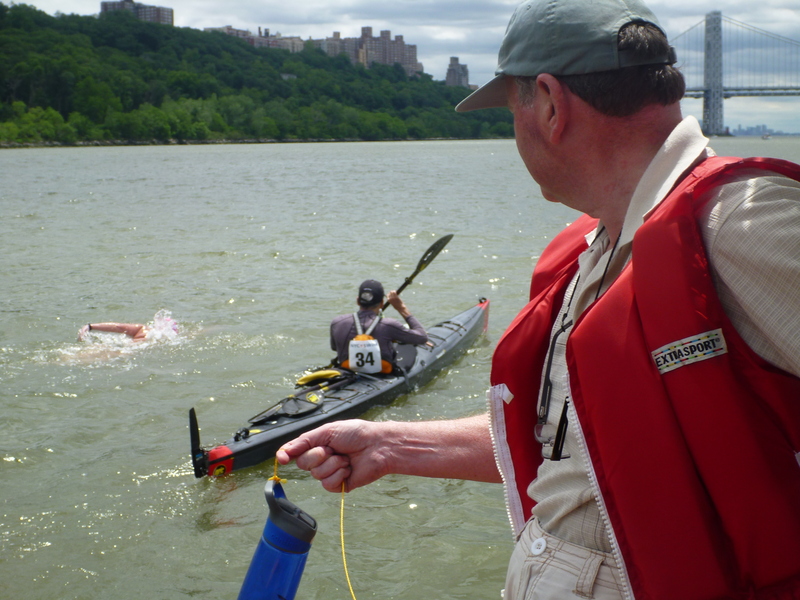 1.45pm Looking for marker buoys to line me up for the GW Bridge, yet again none there (we had been told there would be 8 on the course, and we were to go inside them or we get a time penalty), I push out a little into the Choppy Hudson to take advantage of the current. 2.15pm Pass under the HUGE GW Bridge, fond memories of the Little Red Lighthouse 10k swim in 2011. Stroke Rate logged at 66. Drinking is a bit more challenging in the Hudson; thankfully we have rope around my bottles to reel them back in. 2.45pm This Headwind is getting a bit annoying, shoulders are feeling the winds and waves in the face. I ask my crew for updates on Liam and Lisa – they are still swimming 🙂 Dad shouts and if I move it, I’ll be sub 8hours, I smile, head down, swim on. 3.00pm HUGE and I mean HUGE Liner exits from one of the piers, I’m lucky to be far enough behind it to not have to stop and wait, but I still get its wake and the cold water it churns up – Thanks. (this YouTube Clip is taken from the lead Boat – go to 2mins into clip to get an idea of size (and conditions) – http://youtu.be/6S57L4uYt_Q ). 3.20pm Oh the Intrepid Air and Sea Museum is rather large (looking from the water!) Starting to see more familiar points now. 3.30pm I actually get to see the Empire State Building as I swim by, not easy to spot much of the scenery when your head is face down in the water, but this can’t be missed, its kinda cool! 4.00pm Last Feed, Caffeine Gel again, mmmm, My kayaker leaves me to go back to his base (As planned) and I stick with the boat for the last stretch. 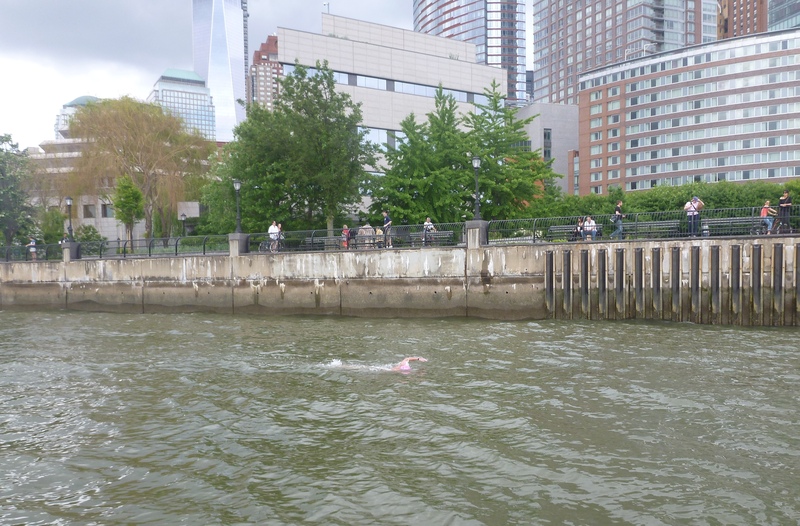 I wave while swimming at all the people lined up along the boardwalks between Pier 25 and the finish at Pier A, if they can wave at me, then I can take a second to wave back (mid stroke!). 4.30pm Swim back out to my boat and climb onboard to be ferried back up to the other Pier where all swimmers get dropped back to and Mum is waiting with the Tricolour Flag! 4.40pm Enroute back to the Pier, I see Kay & Emily on their boat, I wave again, A few minutes later I see Lisa’s Boat and her distinctive stroke, I give a huge shout out, she’s flying it. 4.45pm Back at the Dock, a lovely guy helps me out of the boat and asks If I’m cold and ok. Take one look at me, I have red rosy cheeks and only have a towel wrapped around me, I’m fine. 5.00pm I stay at the pier and chat to some of the swimmers who have come in already, and then cheer some others coming in. 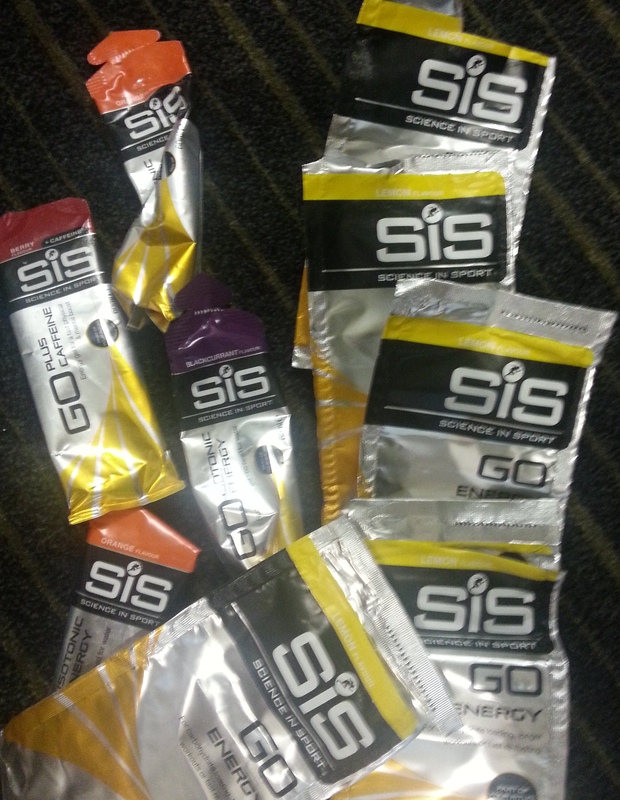 I might be just a little bit hyper!. I’m waiting for my Irish Friends. 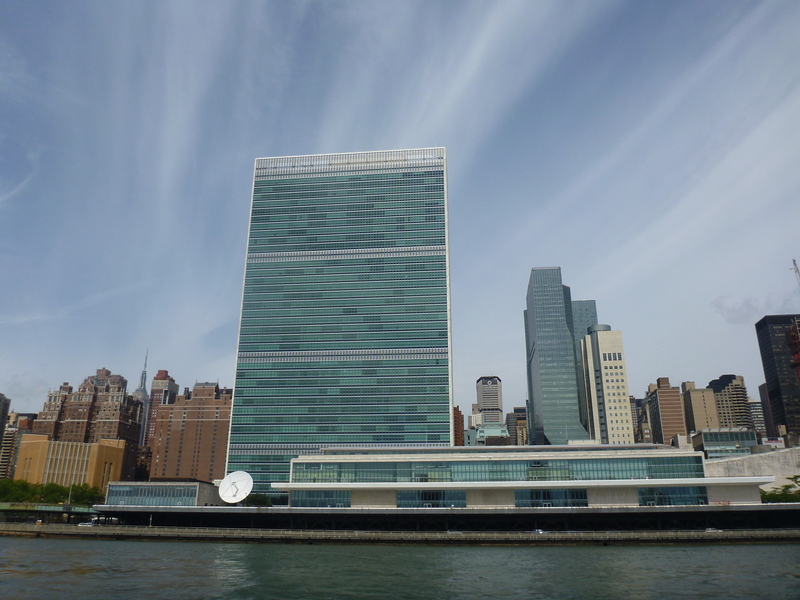 Then the news of what really happened in the East River starts trickling through. Some swimmers did not get clear of Hells Gate as the tide had turned and they had to be picked up by their boat crew and dropped further up along the course so they could continue their swim. The one Hour Delay at the start meant swimmers got ‘stuck’ in Hells Gate as they did not have enough time to clear the area before the tide turned. 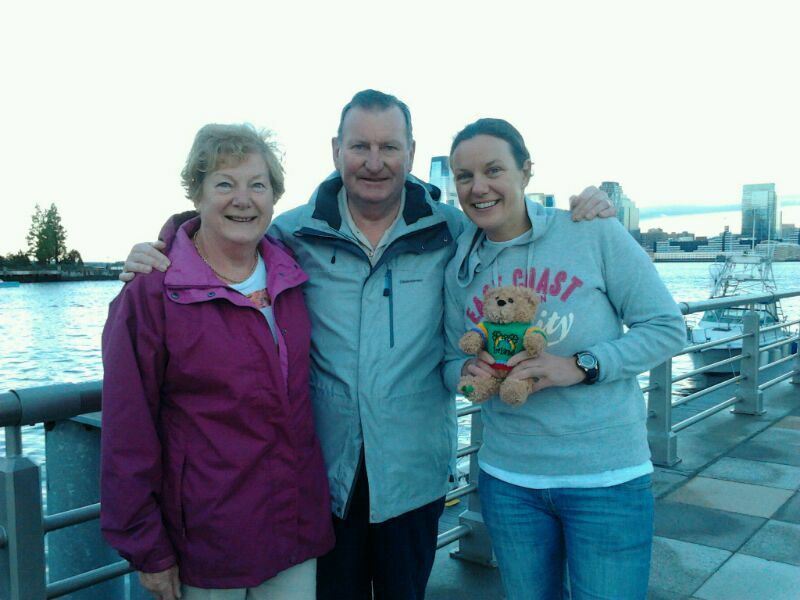 Most swimmers were 10-30mins from passing through including Liam and Lisa, so if the event had started on time, then the swimmers would have made it through. FRUSTRATING, swimmers didn’t get “boat assisted” due to lack of training, preparation or determination, it was the delayed start that caught them out. 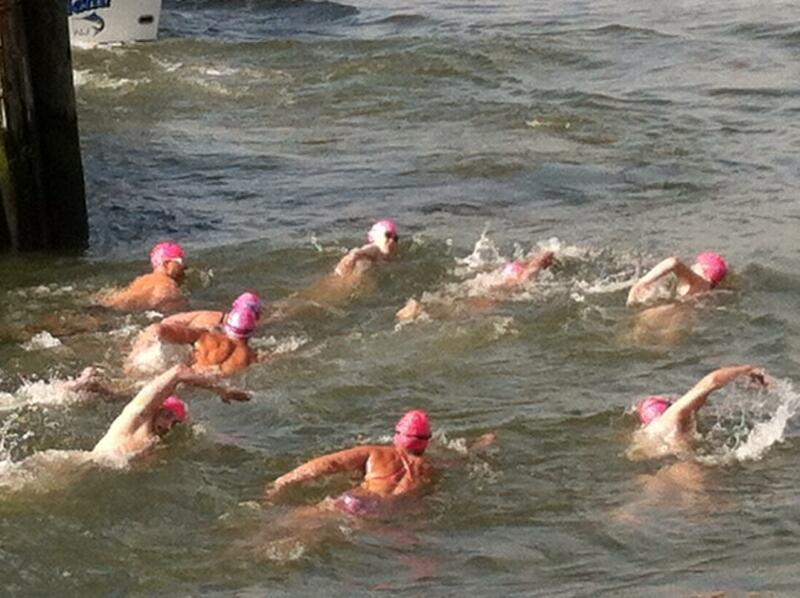 If this swim is sold as an ‘Event or Race’ then you would expect it to be well organised and run on time. 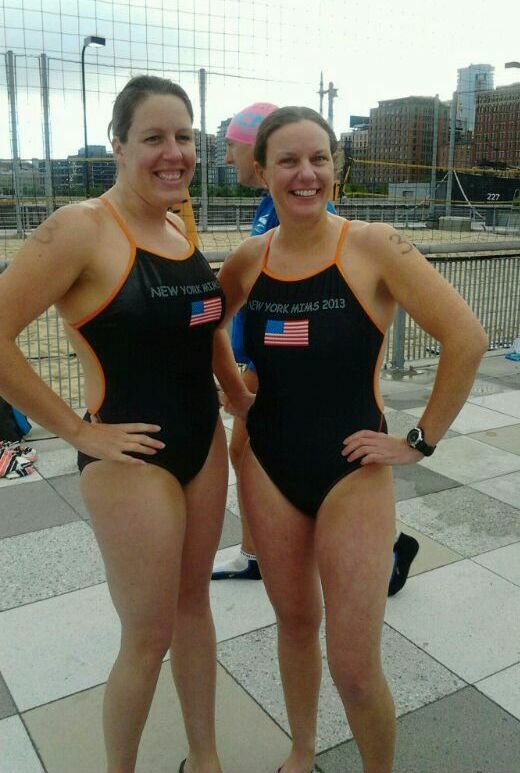 NYCSwim said they are 20years running this, but yet have started late 2 years in a row, this year having a more serious impact on the swimmers. This is not a one person solo swim, 24 swimmers were massively affected by the late start of the event. All swimmers were vetted and accepted into the event, if speed v’s tide was going to be an issue then only the ‘faster’ swimmers should have been accepted. The date is set for the event years in advance to coincide with best timings for tides etc, so the organisers knew how important it is to start on time to ‘beat the tide change on the course’. 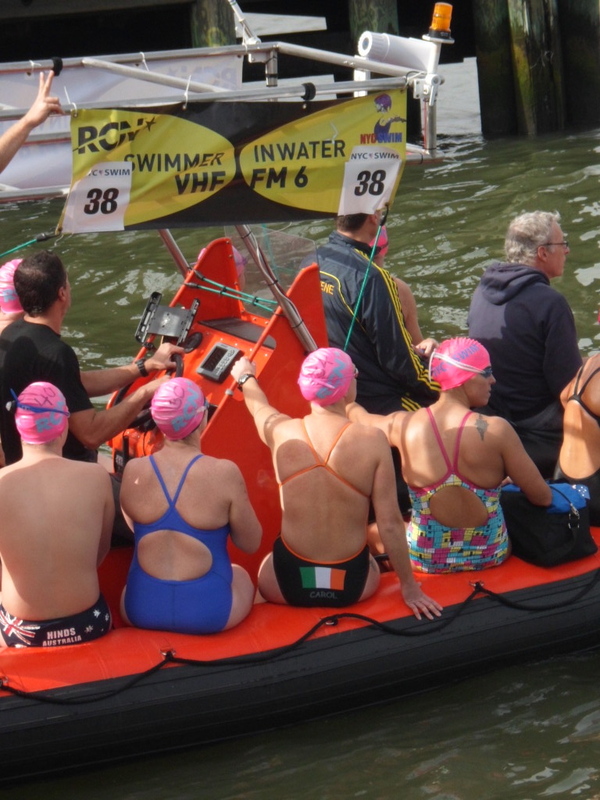 I accept that OW Swimming has its moments that we can not control, weather/tides etc, but surely you would expect an organisation to be able to confirm Boats/Kayakers/Observers etc PRIOR to the day of an event. 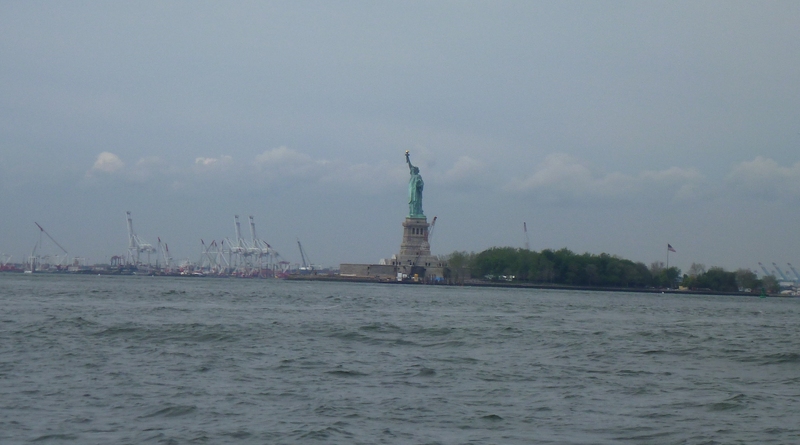 I know NY is still recovering from Hurricane Sandy (9months ago) and the Tropical Rainstorm Andrea that downpoured for 24hrs the day before did not help either, on top of a stormy May, this did affect some of the boats that were due to assist on the day. But to be pleading for boat cover up to the day of the event was making all swimmers a little nervy before we even started. (I got my own boat 48hrs before the swim). Most frustrating was watching swimmers been told at the start line, that they had to double up on boat cover (1 boat, 2 sets of crews, watching 2 swimmers). These are friends, being put in a very awkward situation, it was unsettling to watch the chaos going on around us. 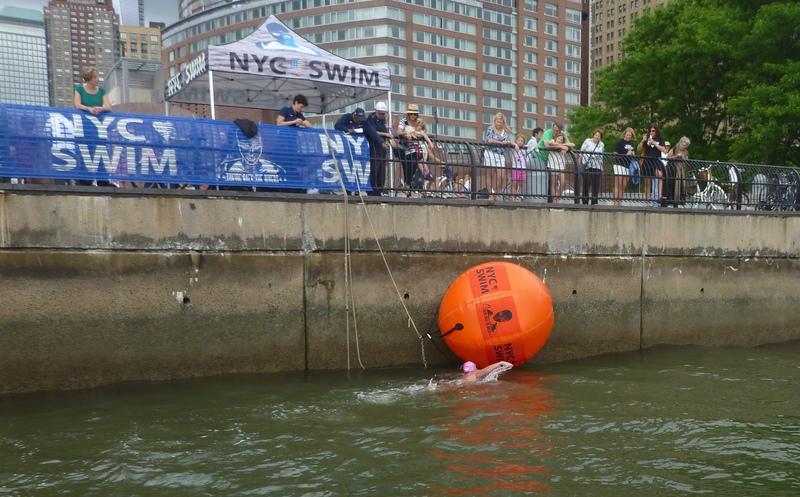 I appreciate the work that NYCSwim did to get all swimmers covered and out on the water in stressful circumstances, but it wasn’t an ideal way to start the day. I really hope that future MIMS swims are not affected in this way again. Lessons have to be learned. A lot of time and money has been invested into this event. This is not taking away from the volunteers that did help out on the day, I personally had a SUPER Boat Captain (pilot/skipper), My observer Chet, couldn’t have been nicer, and as for my Kayaker Tom, oh lord, the person that is closest to you all swim, he was calm, friendly, encouraging etc, everything you need for a tough day out on the water. 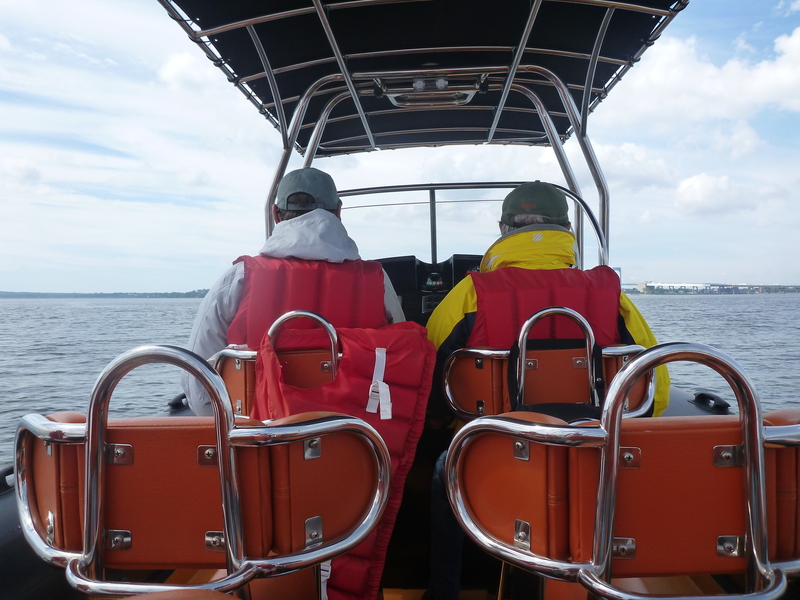 My Dad was my crew on board overseeing everything for me, so I felt safe and watched over the whole time. 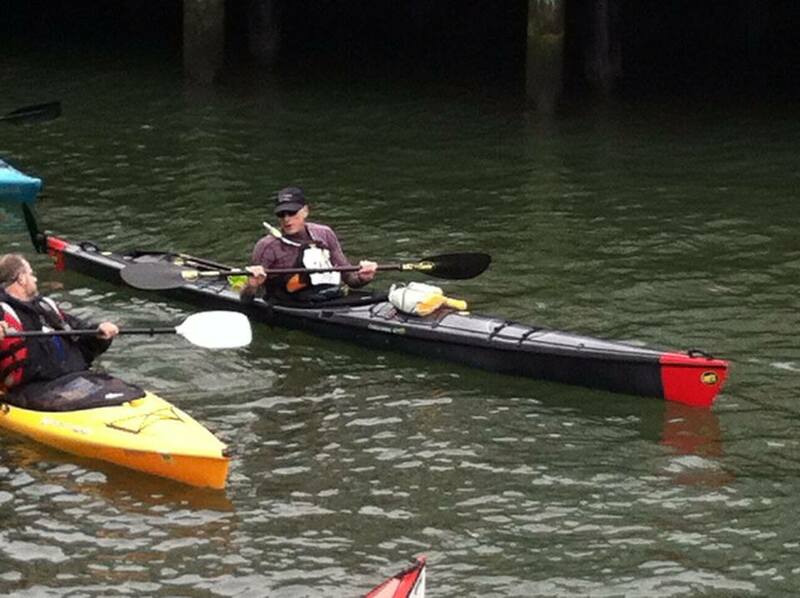 I know all the other swimmers talk of great crew support and Kayakers too. It’s just a shame that such an exciting event can turn a bit sour due to late start on the day. 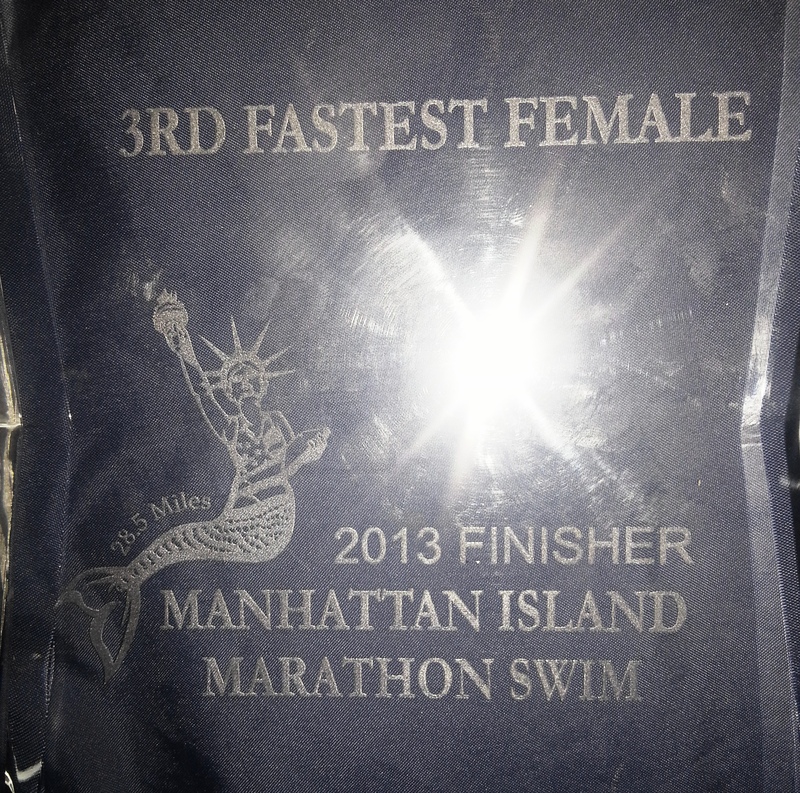 To end on a positive Note, I still Love New York, it is such a vibrant, exciting city, to swim the 28.5miles (48km) around Manhattan Island is a dream come true, and I was fortunate enough to be granted a place in the starting line-up of 39 International Marathon Swimmers, and to share the experience with 2 close swimming friends is even better. My time of 7hrs 46min is something I could only dream even further about, I had targets set for myself and I far surpassed them, by taking 3rd place female and 6th place overall, and a bonus of taking the Irish Record with it too, I have to admit I had a good day in New York. The months of hours in the pool with Session plans from Coach Eilis to keep me occupied, with swimming colleagues being there for company with the really long sessions, with getting the right Nutritional advice from Science in Sport, to the cold water training in the Spring and with Dad looking on from the Boat, a balance of everything came together on the day for me. 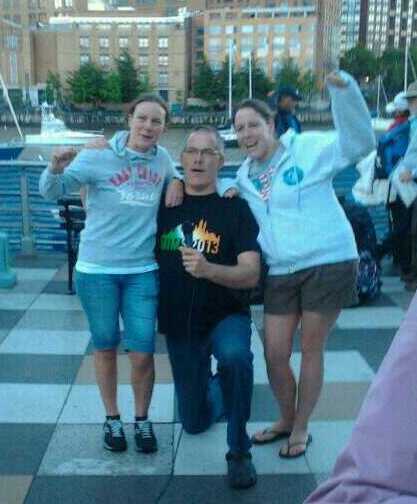 This is to all Dolphin & Sandycove Swimmers, we have been blessed with a skill, don’t waste it. Thank you for a cogent post about the event.